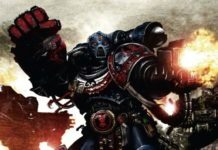 Welcome to Best Warhammer 40K Lists, where we take a look at lists for a given faction and break down what makes them tick and how they fared. Every entry will be pulled from a recent GT, and we’ll be going over everything from who played the army to how likely the army in question is likely to continue to perform as the game evolves. 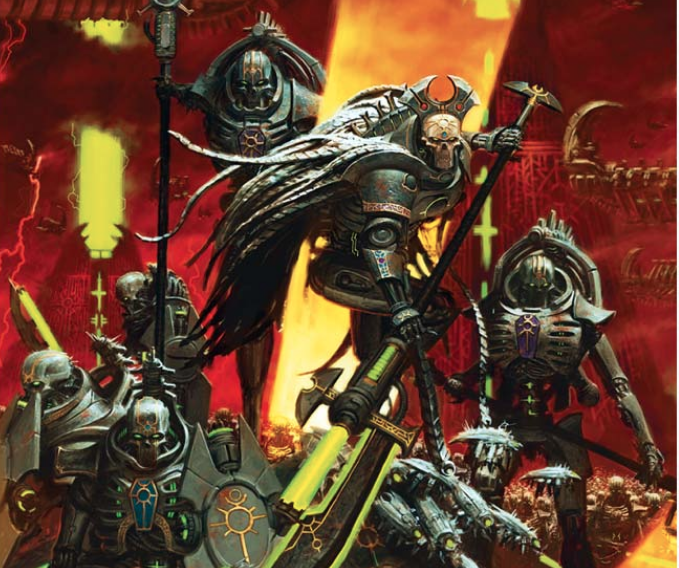 Today, we’re going to be taking a look at Necrons. 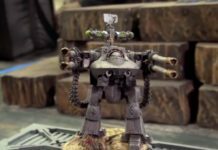 Necrons are one of the less commonly seen factions at competitions that manage to place, so we’ll only have two lists to look at today. 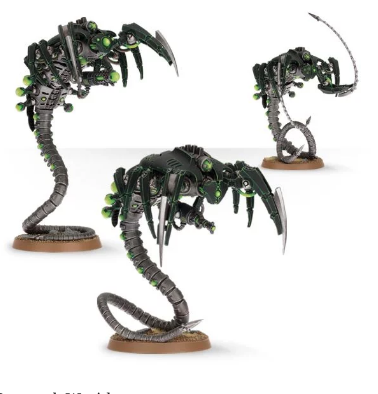 Necrons rely on being able to heal casualties from injured units from an ability called Reanimation Protocols to slowly grind their opponent out with their durability. They also have many specialized units which open up some unique combos and synergies. These all come together to give Necrons a very unique playstyle. Josh’s list comprises of an Airwing, a Spearhead, and a Battallion. Each of these detachments is sort of it’s own mini army that does it’s own thing largely independent of the other detachments. 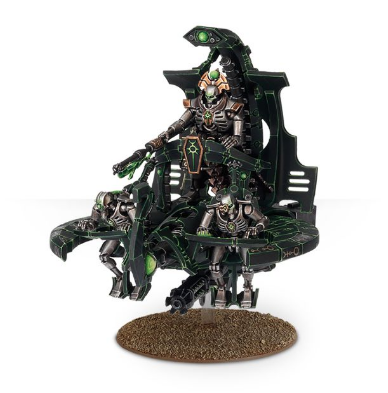 This is somewhat unusual to see in other armies, but is a rather common tactic in Necrons due to how they are structured. 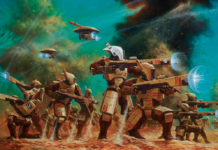 It should be noted that his entire army is from the Sautekh Dynasty, which means that he gets to ignore the movement penalty for heavy weapons and can advance and still fire all of his weapons. We’ll start with his Air Wing, which consists of 3 Doom Scythes. 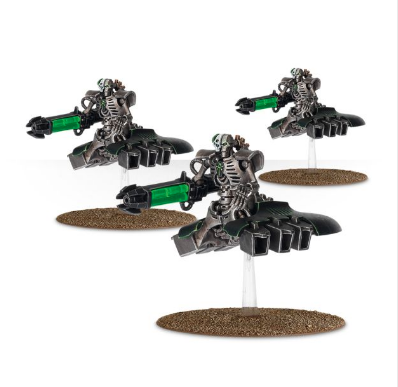 Doom Scythes have a decent mix of anti-infantry and anti-tank weapons on a fairly cheap platform. This makes them flexible, and they also naturally benefit well with the perks that the Sautekh dynasty provides. They also have a potent Stratagem in Amalgamated Targeting Data. 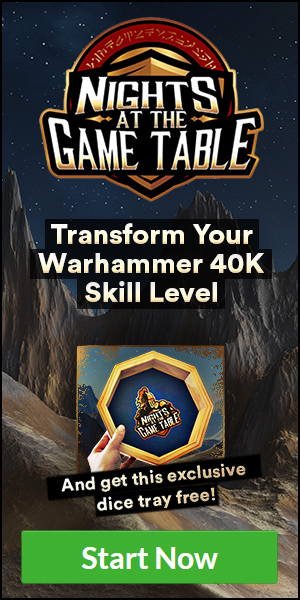 This Stratagem lets you more or less combine the anti-tank portion of 3 Doom Scythe’s to dump 3d3 Mortal Wounds to units within 3” of a point of your choosing. At first glance, this Stratagem seems pretty bad since it’s random (like other Stratagems that this is similar to), and it can completely fail. However, it only costs 1CP when usually these kinds of Stratagems cost 2-3, and you can still shoot their Tesla Destructors when you use the Stratagem. This means that the Doom Scythes can simply be drip fed CP over the course of a game and shred the opposition with Mortal Wounds if the Death Ray’s don’t have a good target. Moving along, we have the Battalion. It’s lead by Imotekh The Stormlord, a potent synergy piece and Mortal Wound machine. Necron Overlords have an ability to improve the performance of a single <DYNASTY> infantry unit near them every turn, and Imotekh can do this twice. On top of his potent support capabilities, he can also dump D6 Mortal Wounds into a single enemy unit within 48”. After that, he has a small chance to cause D3 Mortal Wounds to enemy units near the unit that you inflict D6 Mortals on. Although this ability can fizzle out if you roll a 1 on the initial D6, it will usually result in lots of free Mortal Wounds. Coupled with Amalgamated Targeting Data, you can really rip your opponent apart with Mortal Wounds over the course of a game. 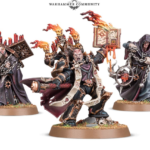 The rest of the Battalion consists of an Overlord with a Veil of Darkness, 3 units of 10 Immortals with Tesla Carbines, and a full 9 man unit of Tomb Blades. Between Imotekh and the Overlord, you can make all 3 units of Immortals +1 to hit, advance, and charge. Effectively, this makes the Immortals able to advance and fire at full Ballistic Skill while also increasing their mobility which makes them lethal at removing enemy infantry. 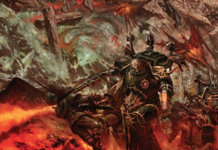 If things get dicey, or a unit of Immortals need to be redeployed to go on the offensive, the Overlord can use the Veil of Darkness and take a unit of 10 with him while also keeping them buffed, leaving the other two 10 man’s with Imotekh. Finally, we have a huge unit of Tomb Blades to fly around and delete a priority target every turn. The Sautekh Stratagem, Methodical Destruction, let’s you mark a unit you damage for death by giving the rest of your army +1 to hit against it. Combined with Tesla, you get fast moving anti-infantry that hits on a 2+, and every hit roll of a 5 or 6 causes 3 hits instead of 1. Talk about firepower! 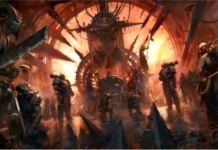 Finally, we have the Spearhead which has a Cryptek and 3 Doomsday Arks. 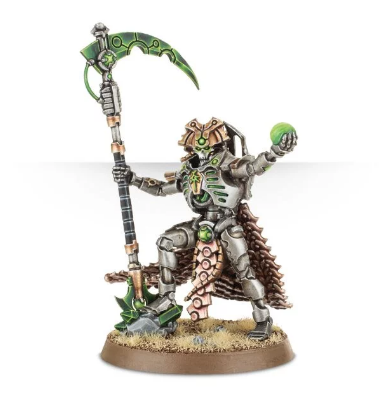 The Cryptek can fly around and help keep the Doomsday Ark’s safe by improving their regeneration with his Cloak and shooting outflanking enemy units with The Abyssal Staff, which basically causes D3 Mortal Wounds to whatever you shoot at. 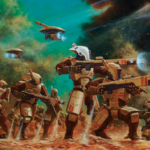 The Doomsday Arks can then comfortrably sit back and shell with their 72” ranged weapons, or if the situation dictates they can move around and shoot their lower profile at no penalty while also bringing in some extra anti-infantry with their Gauss Flayer Arrays. The Doomsday Arks provide some serious grind potential to the list while the other two components do their thing. There was a lot to unpack with Josh’s list, but it has a lot going on. It’s a highly mobile and intricate list with a lot of power to it. 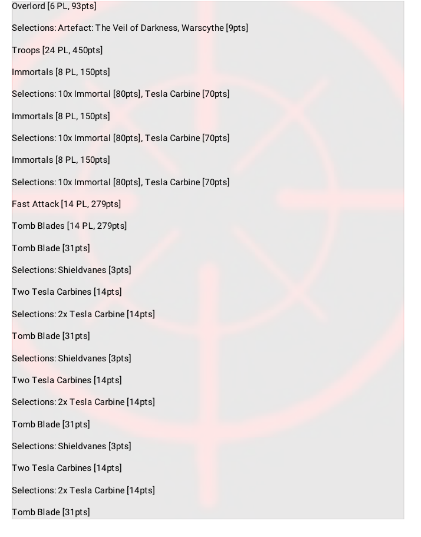 Most successful Necron lists will look like this, or similar to it. The most interesting thing about this is that it doesn’t include Destroyers which are often a staple in Necron lists. However, due to how it’s constructed, Destroyers don’t really fit in well which helps explain their absence. 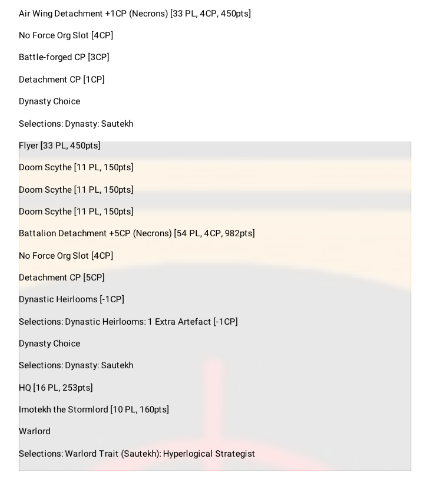 Our other list is piloted by Kyle Perry, who went 3-2 at the Dicehammer GT. He ended up 17th, which isn’t too shabby out of the 48 attendees. Let’s check out what he was working with! Kyle’s list is a bit more typical, and it’s also far more cohesive. Like Josh, Kyle took a spearhead with 3 Doomsday Arks and a Cryptek. They are just as effective here, and they fill more or less the same role. The rest of the list is pretty different, however. For starters, he took a Catacomb Command Barge for his warlord. This guy can fly around and support the army at a safer distance thanks to the fact that his “My Will Be Done” ability has a 12” range instead of the usual 6”. He also took an extra Cryptek with a Chronometron for a 5+ Invulnerable Save bubble to keep his Immortas alive. It really diverges when it comes to the big units he took. For starters, he has The Deceiver. This guy is a gnarly beat stick in melee and provides some Mortal Wound output thanks to his Ctan powers. However, his “Grand Illusion” ability is what takes the cake here. It allows you to redeploy The Deceiver and D3 Infantry units anywhere on the board, as long as you stay outside of 12” of any enemy models. Although the units you redeploy can’t charge, they end up in much better firing positions, especially when we start talking about Destroyers. Speaking of, Kyle brought a full squad of 6 Destroyers as well. 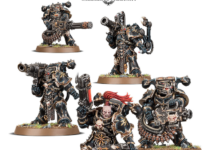 These badboys are rocking a 24” Heavy 3 Strength6 AP-3 Damage D3 gun, they re-roll 1’s to hit, and they even ignore the Heavy penalty for moving and firing. As if that wasn’t already pretty good, they fly too! Finally, they can re-roll all missed hits and wounds for just 1CP thanks to the “Extermination Protocols” Stratagem. This is an all around great unit that can handle a variety of threats, and the Deceiver guarantees they get a good position from the start. Wrapping his list up, we have some Scarabs and a big unit of Wraiths. Scarabs are fast by Necron standards and hard to see since they’re so short. This lets them run around and take objectives or harass the enemy fairly easily and consistently. The Wraiths can follow up the Scarabs and bring some serious melee threat to the table. Each Wraith makes 3 Strength 6 AP-2 Damage 2 Attacks in melee, and can quickly get dug in thanks to their movement of 12”. For the turns where they just need to get there, they can advance and charge for 1CP thanks to “Adaptive Subroutines”. Wraiths can take a punch too, courtesy of their 3 Wounds and 3+ Invulnerable save. 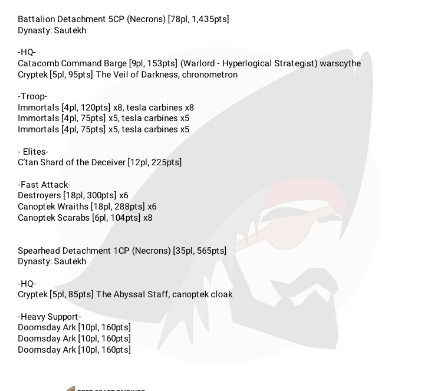 Kyle’s list is more straightforward, as it just tries to send a ton of threats downrange and shell the opponent with Doomsday Arks and Destroyers while they deal with the Wraiths and The Deceiver. It’s definitely a solid list, and it put up decent results. 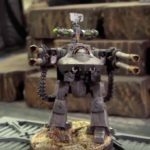 All in all, Necrons are going to continue to be an underdog in the competitive meta. 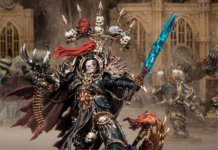 Their main gimmick revolves around being able to revive dead models in a unit, but they can only do that if at least 1 model from the unit is left alive. In larger games, most players have the punch to systematically take you apart one unit at a time, which in turn makes your ability to revive more or less moot. This is why both of these lists really didn’t lean on Reanimation Protocols. Instead, they relied on the other tools that Necrons have to try to overcome this weakness. 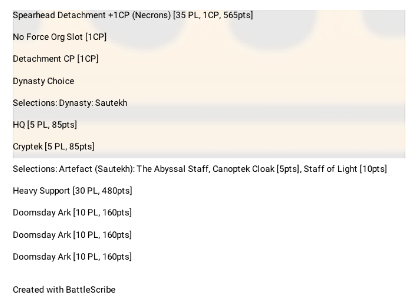 Most successful Necron lists will also build to minimize their reliance on Reanimation Protocols like the lists here today did.